It was right here. Right on the way to the end zone. You've seen it. It was fast. It was dangerous. It was special. It was the offense of the Tampa Bay Bucs, back before someone kicked its plug out of the socket. These days, the Bucs sputter. They rattle. They creak. What they do not get is first downs or score touchdowns. These days, no one needs a highlight reel. 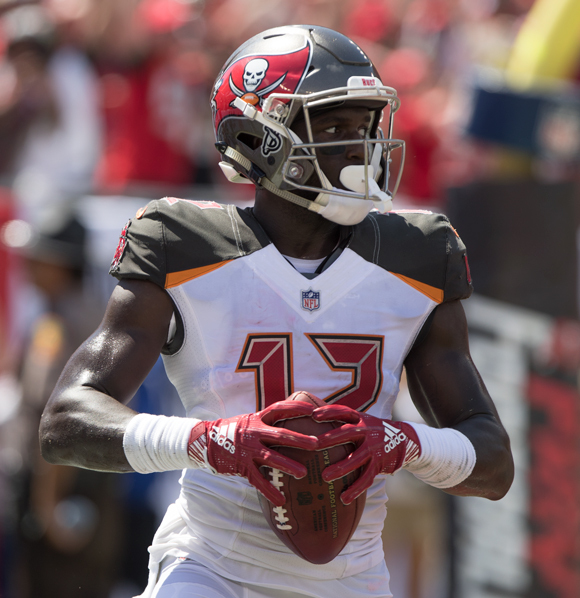 The Bucs ran in place most of Sunday afternoon in a 30-12 loss to the Baltimore Ravens. They plodded and they waded, but they did very little to resemble an offensive football team. 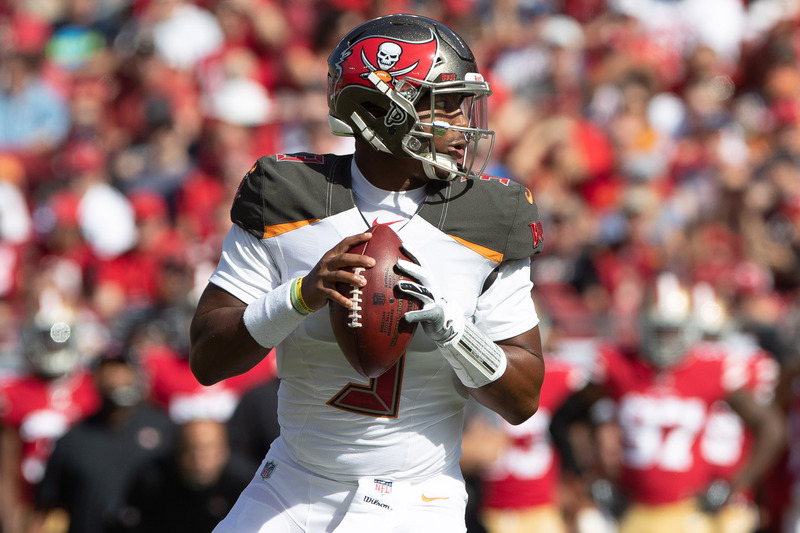 It is as if they have changed so drastically to try to cut down on Jameis Winston's bad turnovers that they have sacrificed their big plays to go along with it. For whatever reason, they are shooting blanks these days. Consider this: Going into Sunday the Bucs were averaging 430.1 yards per game; against the Ravens, they got 241. They were averaging 25.5 points per game; against the Ravens, they got 12. They managed just 72 yards in the second half. They kept the ball only 8:47 of the 30 minutes of the playing time in the second half. They dropped passes. They committed penalties. Third down confused them. Otherwise, you lose. Sunday's loss was the team's ninth of the season, insuring a losing season for the seventh time in eight seasons. The worst moments of the bad offense? After Mike Evans caught a 64-yard pass in the second quarter, the Bucs had a second-and-three at the Ravens' four. Two plays got one yard, and led to a field goal. In the third quarter, a muffed put gave the Bucs the ball at the 14. That led to a field goal, too. But the killing blow came midway through the fourth quarter with the Bucs down by eight points. On a third-and-one play at the Baltimore 30, Ryan Jensen was overwhelmed by Brandon Williams, who stuffed Peyton Barber for a three yard loss. Winston's third-down pass was off-target. (The Bucs were just three of 10 for the day on third downs). Winston, in particular, had a tough day in the wet weather. He threw for just 55 yards in the second half. His 157 yards were his lowest since he threw for only 145 against Chicago, but he played just a half in that game. His 54.9 rating was his second-worst of the season, behind only his four-interception day against Cincinnati. Of course, the drops were a factor. The Bucs didn't figure out the red zone. They didn't figure out third down. They didn't figure out how to catch a pass. If you're counting, Chris Godwin has been targeted 13 times in the last two weeks and has one catch, which he fumbled. "That's been the problem since I've been here," Evans said. "The red zone, we have to be better. It's not one man's fault, it's not the coaches' fault. As a collective group, we have to be better, and I don't know what we have to do to be better, but we have to figure it out, or else it will be the same every year." Of course, it wasn't all an offense that ran out of gas. It was also a defense that couldn't slow the Ravens down. 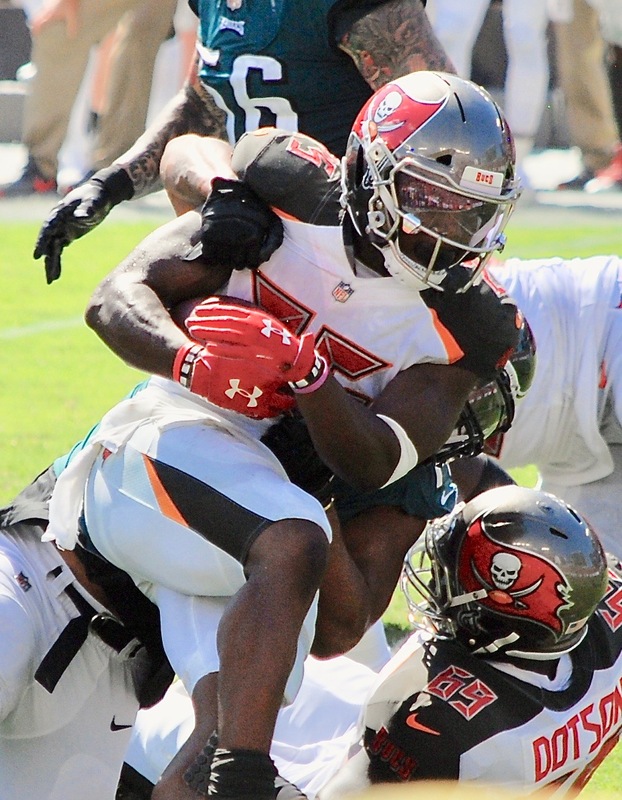 Rookie quarterback Lamar Jackson had some bad throws, but the Bucs had no answer for his running. The Ravens ran for 240 yards, including 104 by Gus Edwards and 95 by Jackson. We're used to seeing a bad secondary; we're not as accustomed to being trampled. Think about this: The Bucs complain that they were on the field too much in the second half. But if they had stopped Baltimore more often, they could have sat for a while. The Ravens played keep away only because the Bucs allowed it. Koetter did like the long pass to Evans, however. The Bucs face a challenge to avoid going 5-11 for the second straight season (despite a 2-0 start). They play at Dallas next week (1 p.m. Sunday) before returning home to face Atlanta in the finale. Finally this team has shown it’s true colors! They are not a good football team! Winston is playing at about the same level as his first year! He dose not seem to know how to read a defense or when to run vs pass! The defense is still at the bottom of the league rankings! It seems every year the same disappointment is felt from the unmet expectations! So here we go again….let’s reload or rebuild whatever. the current crew have had their shot! Times up! Winston has indeed gotten better. His rating and his completion percentage show it. But he’s not a polished quarterback, and he gets very little help from the people around him. The defense is not good.